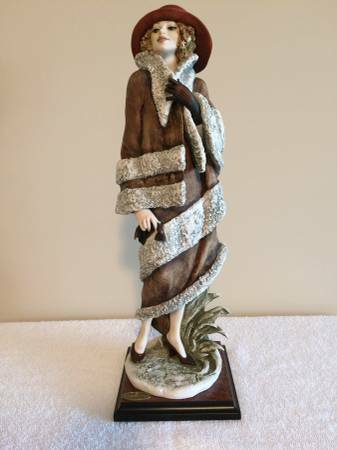 This Armani figurine comes from a smoke free pet free home. 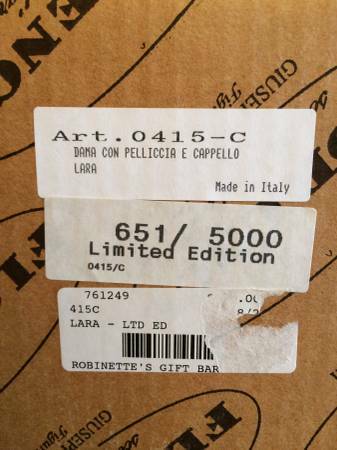 Armani "Lara" figurine, Article 0415-C. Limited Edition #651/5000. Absolute perfect pristine condition, will speak for itself when viewed. Mint in Box! GREAT GREAT GIFT ITEM !!! $175 ***** CASH Only. Serious Inquiries only. No shipping, no trades, no scams. If item is listed, it is still available.